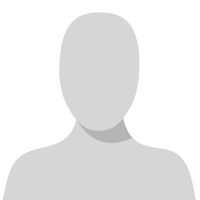 ​​I ran a 1099 edit list, and there were a few vendors on the list that are not 1099? Why did they come up on the list? That's hard to say without "looking" at anything, but usually it is because the 1099 amount was filled in on a transaction. ​If you want to see a listing of transactions that are 1099-able, use a Payables SmartList and add the column 1099 amount (keep in mind this is driven by the check amount in many cases and not the complete Invoice amount, etc. Filter by payments if you want to and then drill into each invoice to see if it was marked as 1099able. ​We found that the previous years information is included in the Smart List Report, in this case 2017. Victoria Yudin has post "SQL view for vendor yearly totals in Dynamics GP" that gave us the correct information. @Deborah Klotz - when you say 'they are not 1099" I assume you mean that on the Vendor setup they are showing as "Not a 1099 Vendor?" Assuming that is the case, my assumption is that at some point in time they were setup as a 1099 vendor, so whatever transactions were entered at that time, will appear on your 1099 edit list. I'd recommend 1.) making sure that the vendor setup is correct going forward and 2.) editing transaction information to change the 1099 amount​. You can either use the Update 1099 Information screen to make mass vendor/transaction changes. 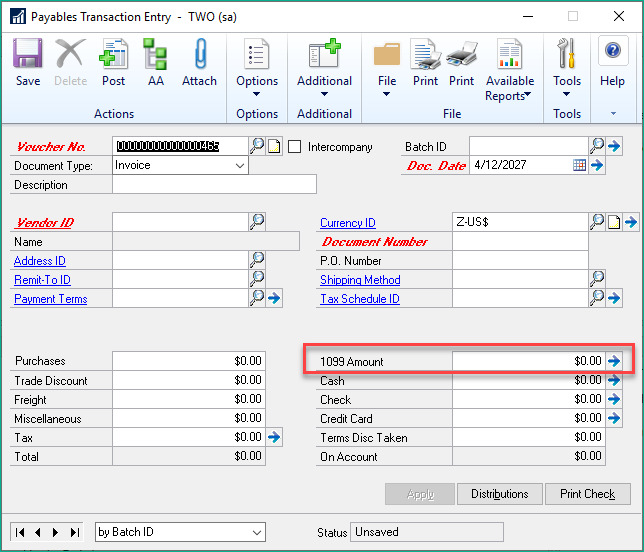 Or you can change individual transactions amounts via the Edit 1099 Transaction Information window. Once you make the above changes for 2018 transactions, they should not appear on your edit list.